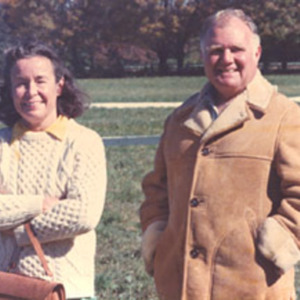 In 1967, Mary and David Harrison purchased Flowerdew Hundred. Recognizing its historical significance, they welcomed archaeological investigation of the property. Since 1971, numerous excavations at over 70 sites there have yielded important clues about successive groups of Virginia’s inhabitants and their ways of life. David Harrison’s efforts attracted prominent archaeologists to Flowerdew Hundred. 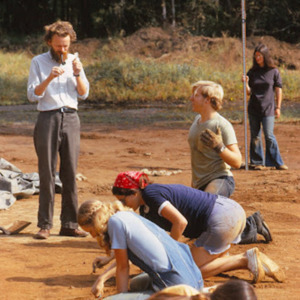 Norman Barka, Professor of Anthropology at the College of William and Mary, began investigations along the property’s northwestern riverfront in 1971. 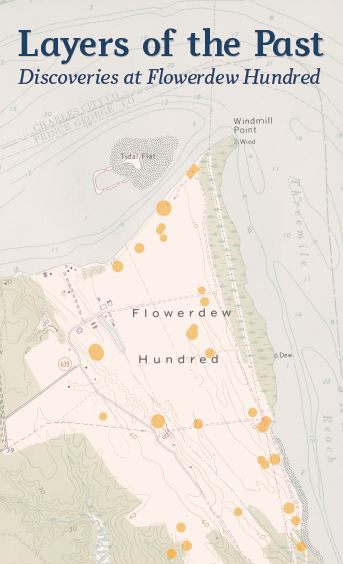 Under his direction, significant Virginia Indian and early 17th-century sites were excavated, creating a surge of interest in early 17th-century Virginia and bringing Flowerdew Hundred to the forefront of historical archaeology. Archaeologists continued to excavate through the 1970s, revealing several of the property’s 18th-century sites. 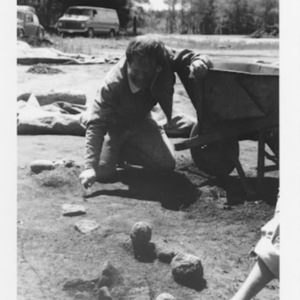 From 1981 through 1995, James Deetz, Professor of Archaeology at the University of California, Berkeley, and later, Harrison Professor of Historical Archaeology at the University of Virginia, directed excavations at Flowerdew Hundred. He detailed his findings in his 1993 book Flowerdew Hundred: The Archaeology of a Virginia Plantation. 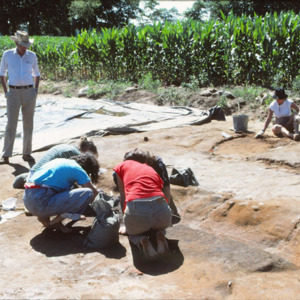 Excavations by the staff archaeologists of Flowerdew Hundred Foundation, chartered in 1980, coupled with research at the Foundation’s Archaeology Laboratory contributed more information to the field of historical archaeology. The investigations that have occurred thus far at Flowerdew Hundred have yielded many important revelations, but with 400,000 artifacts to sift through, the collection contains many exciting stories yet to be discovered. In 2008, the Harrison family, through the Flowerdew Hundred Foundation, gave the hundreds of thousands of artifacts that comprise the Flowerdew Hundred Collection to the University of Virginia Library. Their generosity ensures that the collection continues to be accessible for study, enabling current and future generations of researchers to realize the collection’s possibilities.